Today I have another pretty edgy or edgy pretty Scofflaw for ya! 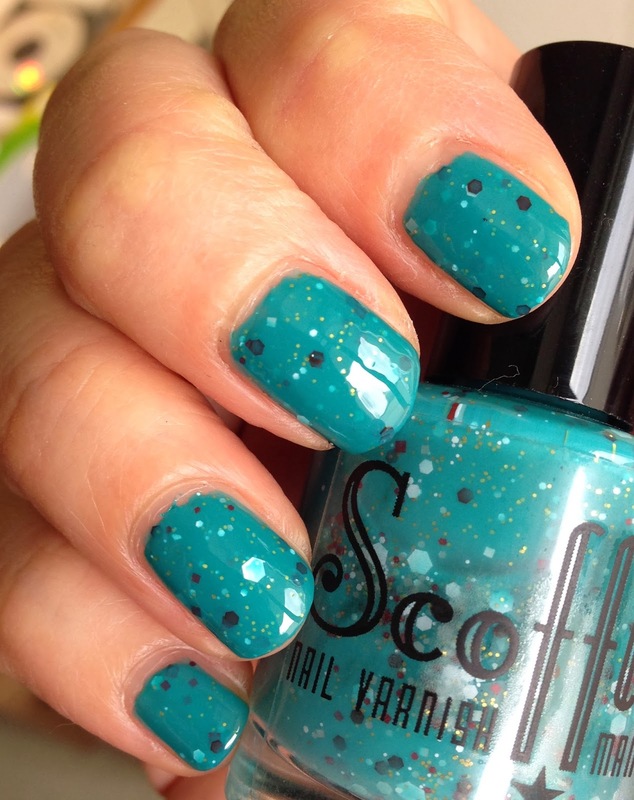 Having my stash of Scofflaw polishes slowly growing I come to recognize their signature style of combining unexpected colors within their glitters. 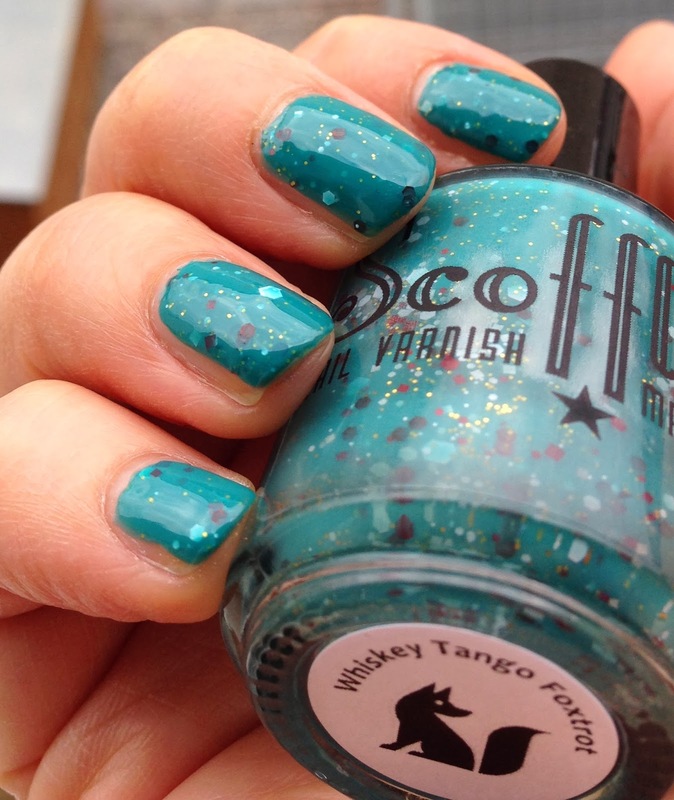 Whiskey Tango Foxtrott is no exception - a bright teal crelly base filled with white and red glitter in hex and square forms topped with plenty of gold micro glitter. Final thoughts: Squeal!!!!!! I love this happy and bright mixture of colors!!! What a pretty spring glitter that is - oh and did you notice the little fox on the label at the bottom of the bottle? Each bottle comes with a customized label at the bottom showing a pictogram for the name of the polish. I ordered Scofflaw Whishkey Tango Foxtrott with Llarowe.